Did you know that sharing a Renewing Your Mind broadcast, giving a Reformation Study Bible or issue of Tabletalk, or attending one of our events could be considered an act of cultural subversion? The very act of joining in the work of a ministry dedicated to the propagation of the historic Christian faith and the lordship of Jesus is countercultural. People may seem to be more spiritual than ever, but their hearts are far from God and the truth of His Word. When you study the Scriptures through the resources we produce at Ligonier Ministries, you are being equipped to be part of a movement of faithful believers and churches around the world who proclaim the gospel of the Lord Jesus Christ. Not only are we reaching more people, but we continue to partner with excellent Bible teachers to produce more trustworthy discipleship resources. We’ve released new teaching series on the Sermon on the Mount, suffering and the book of Job, church history, the Lord’s Prayer, and the marks of a healthy church. We’ve released new books on the doctrines of grace, Martin Luther’s legacy, and many other topics. We are not slowing down. This growth is occurring around the world as well as at home and online. The Ligonier Statement on Christology and R.C. Sproul’s book The Race of Faith were launched in multiple languages and immediately distributed in multiple countries. 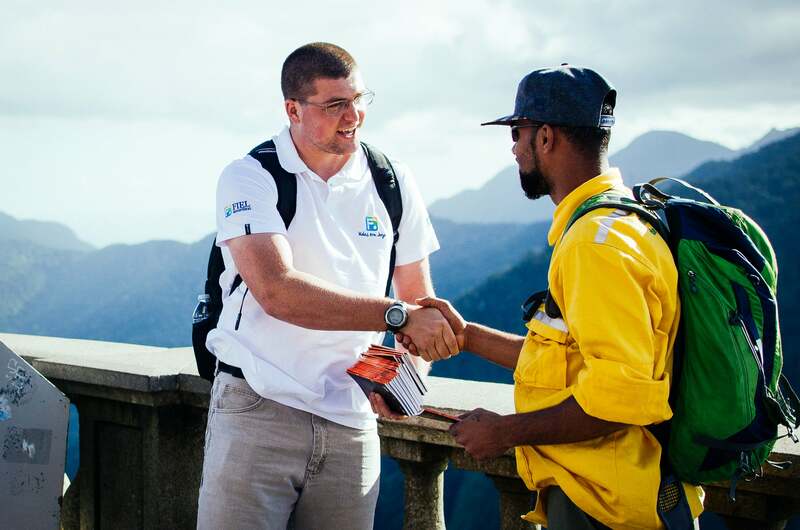 Our Olympics evangelistic outreach in Rio de Janeiro, using The Race of Faith and in partnership with Editora Fiel and local churches in Brazil, was remarkable. Multiple translation projects currently under way will expand the use of the Reformation Study Bible. Ligonier also went to Mexico City in the fall to host our first Spanish-language regional conference. 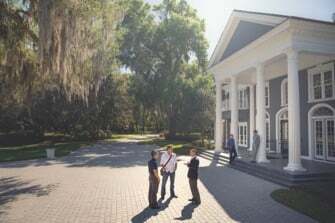 Dr. Sproul’s vision for Reformation Bible College continues to bear fruit. Students from twenty-seven states are studying at RBC this year, and the school has also seen the establishment of the Davis Family Foundation Scholarship Fund and the first graduates of the new Foundation Year program. Thanks to the generous support of partners and donors through the progress of our capital campaign, the school will break ground in 2017 on its much-needed student learning center. A few milestones are ahead of us in 2017. In March, we will host our thirtieth national conference here in Orlando. This conference has filled up quickly, and we are looking forward to gathering over three days with more than 4,700 eager students of God’s Word. In May, Tabletalk magazine celebrates its fortieth year of publication. What began as a small ministry newsletter has grown to become the most widely read subscriber-based daily Bible study magazine in the world, reaching more than 100,000 readers in sixty countries. This phenomenal growth is the Lord’s doing, and we are grateful. As we look to the future, we are crafting a new online home for Tabletalk to serve subscribers and Ministry Partners and to introduce more Christians to this unique magazine. Of course, the biggest milestone is the one all Protestants will mark as we reflect upon and celebrate the five-hundredth anniversary of the Reformation. As a ministry, we have our sights firmly set on the next five hundred years and what the Lord may do as He gives the increase. We are not a museum ministry, only looking back to a “golden age.” Rather, we put our confidence in the sovereign God of history who raised up faithful men and women during a magnificent outpouring of grace and believing (praying!) that He will do it again. Jesus Christ is Lord, and He will build His church. Dr. Sproul is right when he says, “God works through what we do and say not to exalt us but to glorify Himself.” May the Lord order our steps and make us useful servants for His glory alone. Together, by God’s grace, we can continue to faithfully proclaim the holiness of God to this generation and those to come. We ask for your prayers for God’s blessing on our labors and for your continued and much-needed financial support. Read our 2016 Ministry Update.